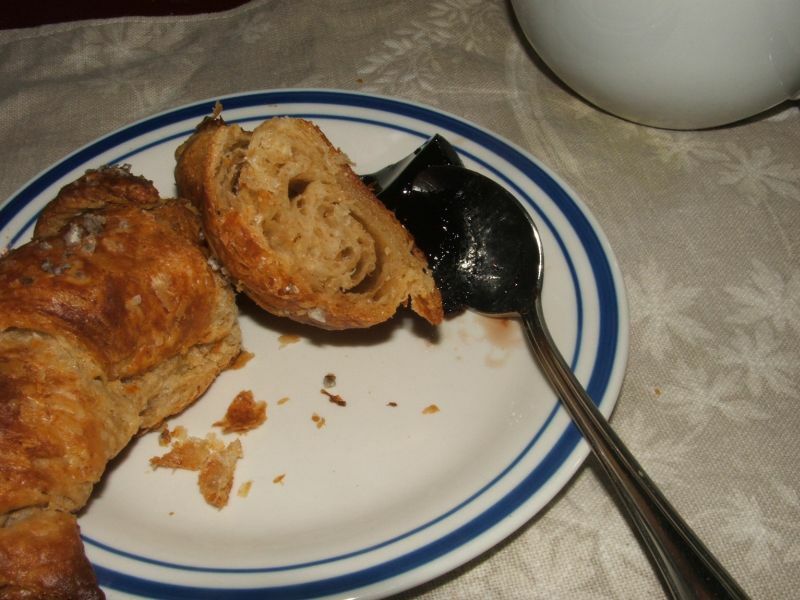 Heather (girlichef) loves croissants and she loves pretzels, so she devised this BBB recipe by shaping soft pretzel dough like croissants so she could have her cake and eat it too. 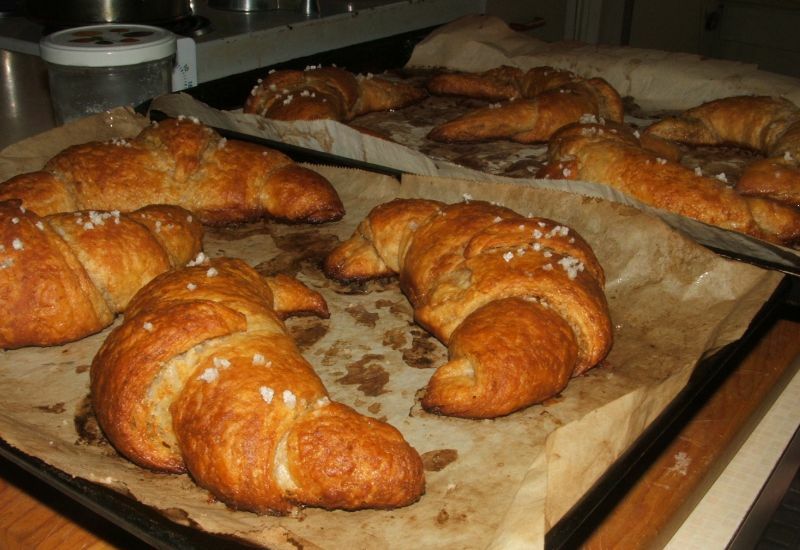 She admits that pretzel croissants don't taste a lot like pretzels. But who cares? They're delicious! 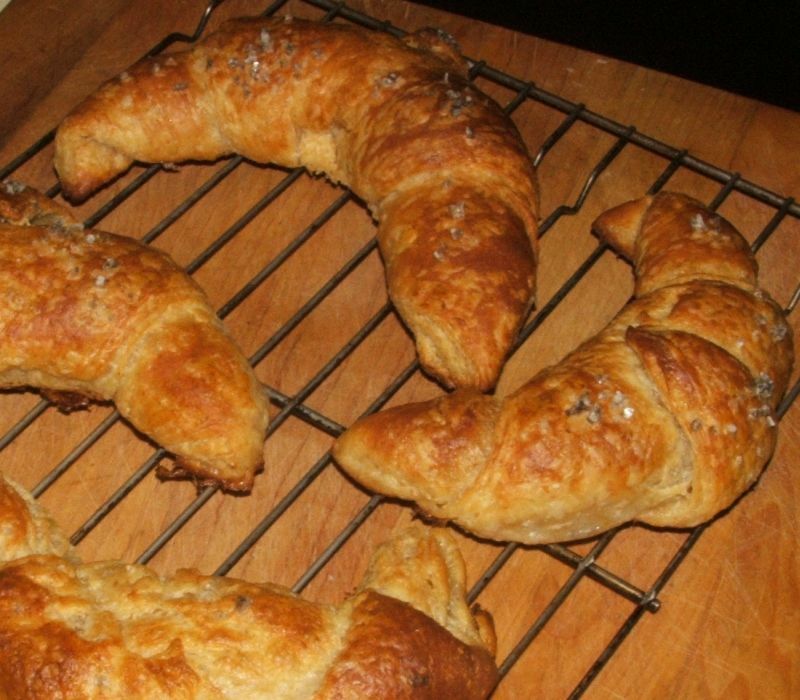 The pretzel croissant recipe calls for a pilsner-style beer. 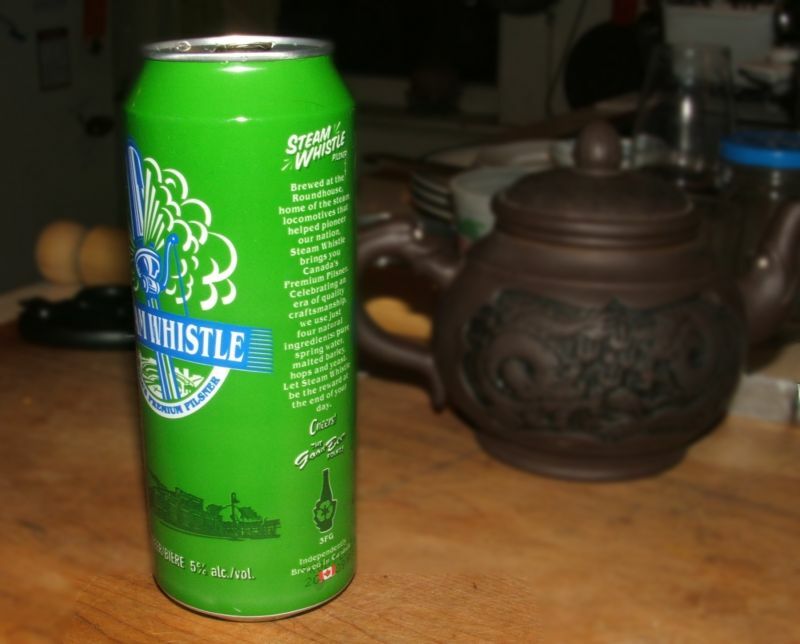 I went with the Canadian "Steam Whistle" beer. 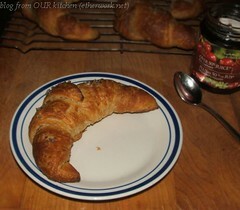 The dough was very cold when I was doing the final shaping so it was difficult to roll out. 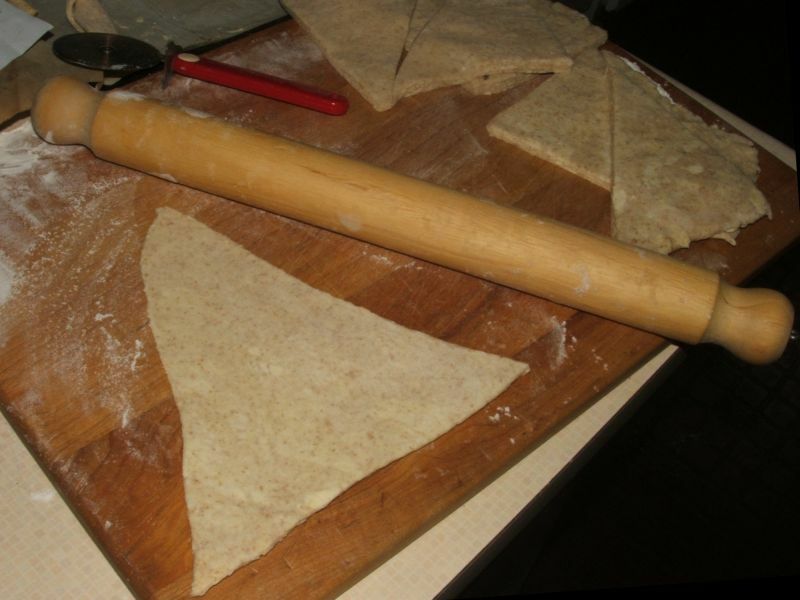 The resulting triangles were really too thick, so I rolled out each one further before coiling it into its final shape. 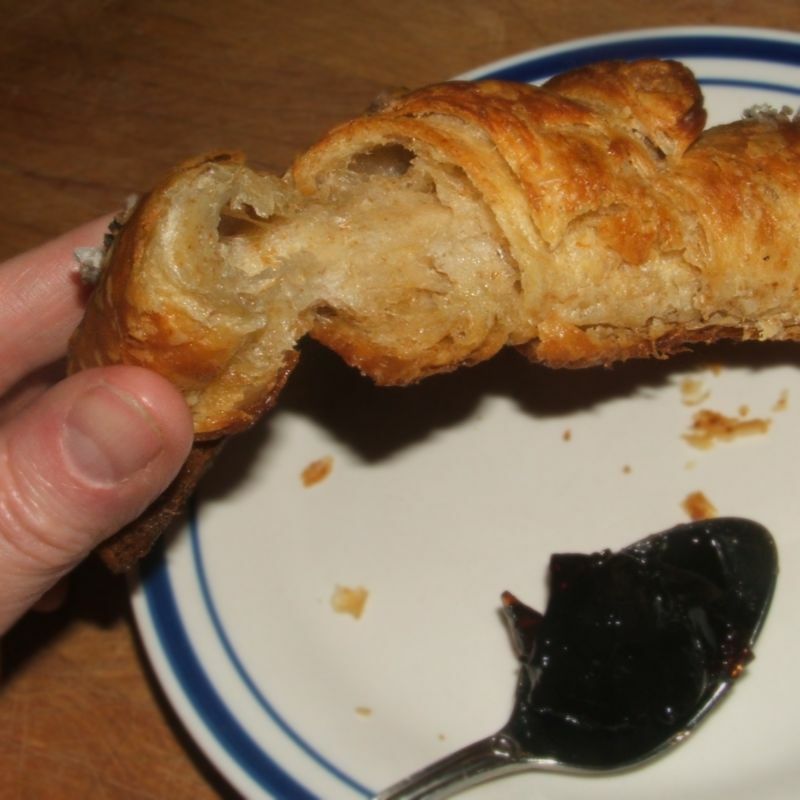 We served the croissants warm with red currant jelly. 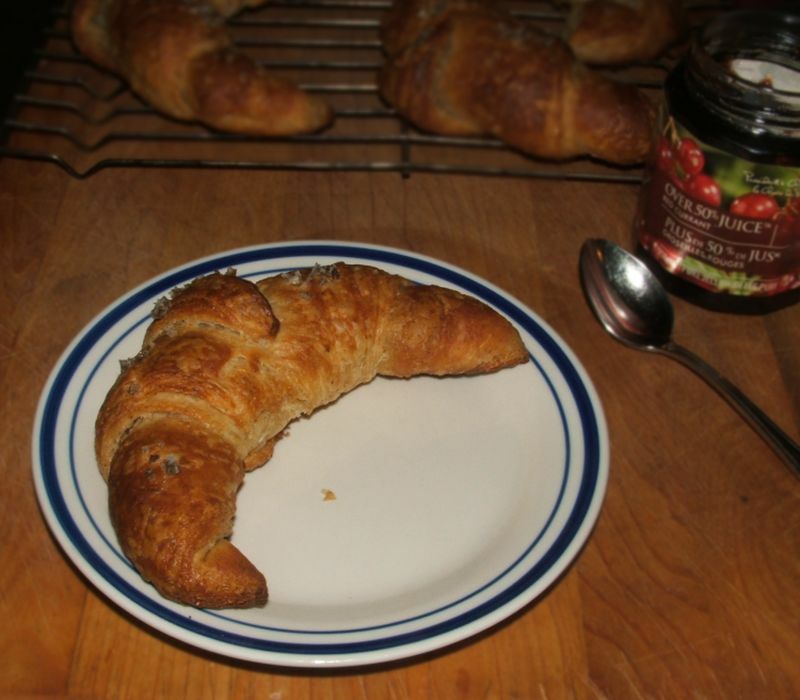 Did I mention that they were delicious?